Copper could help prevent the spread of flu infections. Recent research at the University of Southampton shows that the Influenza A virus is virtually eradicated within six hours on copper surfaces. Influenza A viruses cause seasonal infections resulting in around 12,000 deaths a year in the UK(1). The influenza A family of viruses includes the avian flu strain. Professor Bill Keevil and Dr Jonathan Noyce, microbiology researchers at the University's School of Biological Sciences, detail the findings in a study being prepared for submission for peer-reviewed publication later this year. Professor Keevil, who heads up the School's Microbiology research group, explained: "The findings are so pertinent to the current concerns about containing a potential outbreak of the avian flu strain, that we felt it important to provide some of the preliminary results at this time." The Southampton researchers placed 2 million plaque-forming units of Influenza A (H1N1) on coupons of C11000 copper (common, pure copper sheet metal) and on S30400 (common stainless steel) at room temperature and then came back periodically to determine the survival rates of the samples. On the stainless steel surface, the pathogen declined to 1 million after six hours and to 500,000 after 24 hours. Meanwhile, the copper surface achieved a reduction to 500,000 after only one hour and inactivated all but 500 - a 99.99% reduction - after just six hours. In the research, Professor Keevil notes that the H1N1 strain tested is nearly identical to the H5N1 (avian) strain and that the effectiveness of copper's antimicrobial properties should be nearly identical as well. He explains that, while vaccines stimulate host antibodies to target specific exposed cell surface structures (epitopes), copper's antimicrobial action probably attacks the overall structure of the virus and therefore has a broad-spectrum effect. These results are "consistent with the demonstrated antimicrobial effects of copper cited in published studies on E. coli O157:H7, Methicillin-Resistant Staphylococcus aureus (the superbug, MRSA) and Listeria," said Professor Keevil, adding that similar antimicrobial efficacy may be achieved by the infusion of copper ions into fabrics, filters or other materials. However, such applications may have diminished effectiveness over time, because the amount of copper in such materials is much less than in solid copper alloys. Suggesting it would be worthwhile to consider using uncoated copper or high-copper alloys, such as many brasses and bronzes, for common-touch surfaces to help minimise cross-contamination, Professor Keevil said: "Door knobs and handles, push plates, countertops, sinks and other frequently-touched hardware in healthcare and other public facilities are prime candidates for use of copper alloys to help control the spread of infection." The Southampton research was sponsored by the Copper Development Association (CDA) in the USA and the International Copper Association. 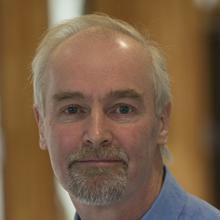 Professor Bill Keevil is Chair in Environmental Healthcare within Biological Sciences at the University of Southampton. Improving preparedness for possible flu pandemic, Department of Health press release 0083, 2005.